Queen Elizabeth II has conferred a dukedom on Prince Harry — making him the Duke of Sussex, Earl of Dumbarton and Baron Kilkeel. 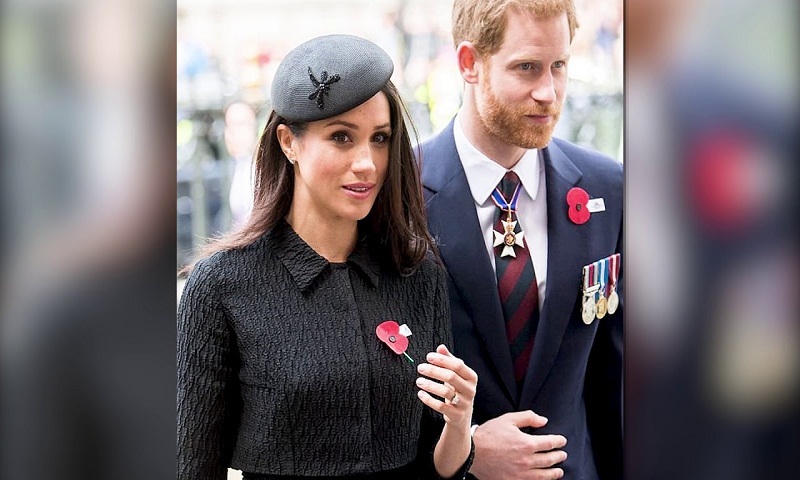 The new title will mean that when Harry marries American actress Meghan Markle later Saturday in Windsor, she will become the Duchess of Sussex. Thousands of people are on the streets outside Windsor Castle after many of them camped overnight to grab the best spots to catch a glimpse of Prince Harry and Meghan Markle on their wedding day. It was the fourth night sleeping rough for Canadian royal-watcher Bernadette Christie, who says it will be well worth it if she sees the royal couple pass by in their state carriage. Christie says, "I'm freezing cold, my back is sore, and I just want to go to bed." But she is unrepentant. She says "I'm here for that ten seconds when the coach comes around the corner." Police and security marshals are out in force to ensure the safety of the tens of thousands of people expected to converge on Windsor during the day. The big day is finally here: Prince Harry and Meghan Markle are to wed at St. George's Chapel on the grounds of Windsor Castle. It all started with a blind date two years ago that went very, very well. That has turned into a global mega-event Saturday that is helping reshape the British monarchy and will be watched by tens of millions of TV viewers around the world.